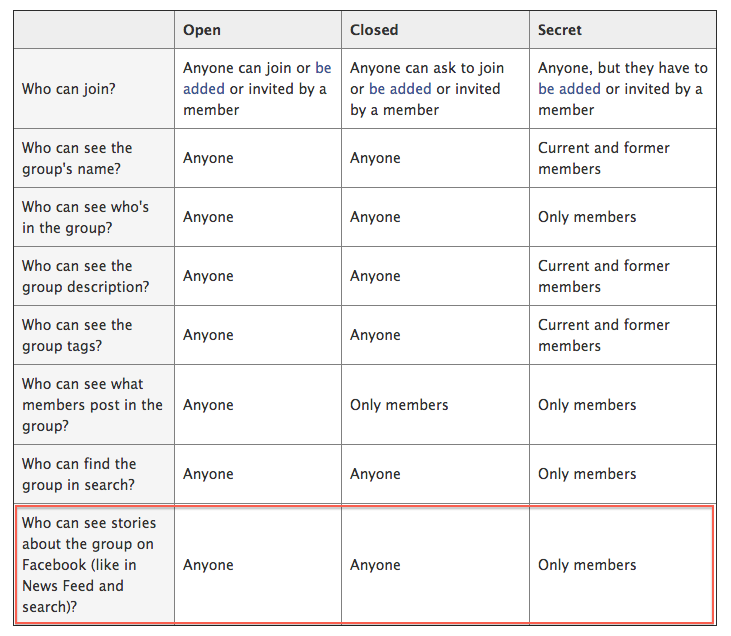 The privacy of secret Facebook groups vs closed Facebook groups: You may be surprised. If you’re like me, you get a ton of promoted content from Facebook, including a slew of recommendations for groups that you may want to join. Some of them are open–as in, hop on in, like the page and you’re done!–while some of them are closed and require approval. However I was pretty shocked today to receive a suggested recommendation for Alcoholics Anonymous, which, as you can see, wasn’t quite so anonymous. While I’ve blurred out the faces, these are actual group members and surely aren’t aware that their avatars and images are being used to promote a closed group in which they probably feel some assurance of privacy. And from what I understand from speaking with group administrators, “suggested groups” are not promoted by them directly, but by Facebook, in order to pull you into more groups and keep you on site longer. It’s important to know that when you’re in a closed Facebook group, it is not the same as a secret Facebook group, which is totally off the radar, visible only to members, and by invitation only. A closed Facebook group on the other hand, is open to the public at large with member approval by a group administrator–and what’s important to know is that your photo may be used to promote the group to friends. This chart on Facebook helps explain the difference. Personally, I think the promotion of AA is a big Facebook algorithm fail. However I do understand that in order for an organization like this to remain accessible to new people who would find it valuable, the unfortunate tradeoff is the privacy of its members. For more information on the privacy of Facebook groups, visit this page. 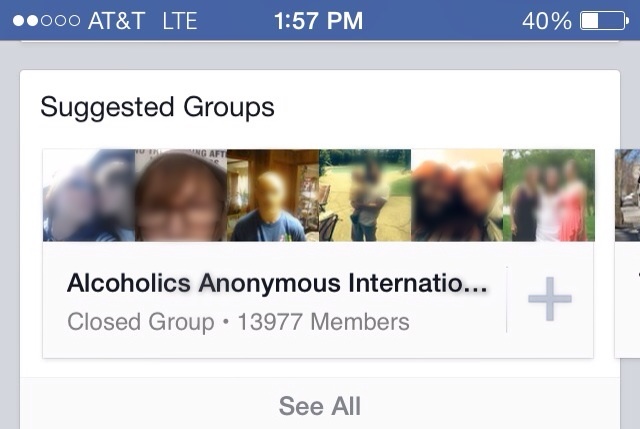 AA World Services – the official – actual organization called Alcoholics Anonymous does NOT have a presence on Facebook.However, lots of folks rip off the name; or naively create groups. None of them are not abiding by the organizations long-standing 11th tradition. http://www.aa.org/assets/en_US/en_tradition11.pdf. And you are exactly right – a secret group is the only way to protect anonymity.